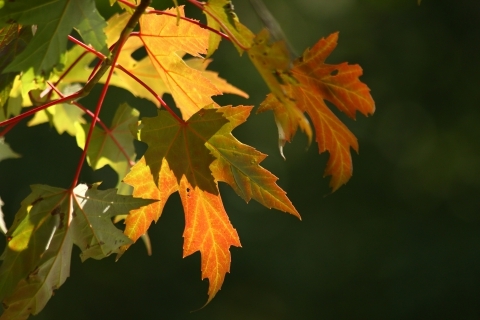 There are so many reasons to love fall – from boots, to flannel, to cider, to beautiful leaf colors. At Tim Leeper Roofing, we love fall for all those reasons – as well as the fact that there is no better season for roofing! Fall can be rainy, but when it isn’t, the sun and cool temperatures are perfect. There’s nothing better than preparing homes and businesses to be snug and warm all winter long. The key is getting people to realize that their roofs need to be inspected and replaced during the fall! In our last blog, we shared two reasons why fall is fantastic for roof work, including good temperatures for working with the materials. In today’s blog, we have two last reasons why you should give us a call before the snow begins to fly! Some people think that waiting until roofers aren’t as busy means they will get lower prices. Though this can be the case, hiring roofs between December and March isn’t a dependable strategy. Some roofing companies start other kinds of construction during the winter, and some shut down altogether. When you have roof contractors rushing to fix emergency issues, it can make things worse. Taking advantage of fall to get your roof inspected, repaired, or replaced protects you from having emergency roof problems in the winter. Remember, our summer weather can be severe, there’s a good chance your roof took some damage. We can give it the repairs it needs. The team at Tim Leeper Roofing is dedicated to providing roofing services that you can trust. While some roofers may try to take advantage of you, we purposefully put your needs first. When you need a roofing company that gives you confidence, turn to Tim Leeper Roofing!